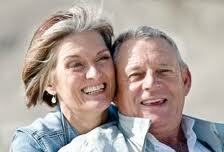 The old age has special needs and it necessitates well planned activities for the elderly. The activities for the elderly need to be different than what we plan for kids or for young people. There are varieties of activities that can keep the mind and body of elderly cheerful and refreshed. But the most important thing to keep in mind is that the senior citizens need to be active not just for re-creational point but to add some purpose to their dull life. Activities for them should be planned so that to keep them creative, busy and most importantly relaxed. 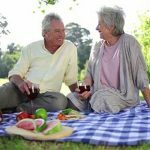 Activities For The Elderly – Why To Be Active At This Age? We all look forward to the retirement years when we have all the time we need. It’s the time when the hustle bustle of the competitive world cease to exist. Consequently they lead almost inert lifestyles with low body and mental activity. To avoid stagnation from creeping in, balanced, creative and relaxing activities are a must at this age. Keeping in view their physical and mental health limitations, the elderly have lesser choice of re-creative activities. The chosen activities should be more or less like a therapy than recreation that can spice up their drab lives and make retirement days rewarding. The most famous Disney World, the entertainment resort is a dream destination for many during the holiday season. The best place to be in, this theme park houses many attractions including its famous rides causing an instant adrenaline rush. Mickey Mouse fans are not only the young. People from all age groups get attracted to this wonderland. The holiday season sees kids, young and old all swarming to this magic land for recreation, fun and frolic. But is this attractive option holds the same appeal to the elderly? What with the panic attacks on the fats rides and safety issues? Who says you can’t join the fun? 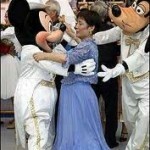 Disney World promises a full dose of entertainment even for the senior citizens. They can choose from so many calmer rides and amusement options. MagicKingdom boat rides, Peter Pan’s flight, The Hall of President, Epcot, the future world with journey on Spaceship Earth. 3D shows like ‘Honey, I Shrunk the Audience’, journey into Imagination with Figment (a free spirited dragon), Disney’s Hollywood Studio with live-action shows, Muppet Vision 3D show, the Animal Kingdom Park with walks through Cretaceous Trail and Pangani Forest Exploration Trail, Kilimanjaro Safaris, Story Land Canal Boats and Jungle Cruise. 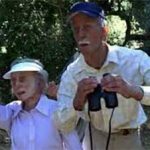 These and many more leisurely adventures are available for the activities for the elderly where the entire family can enjoy together. The elderly have no reason to stay back in hotel rooms. Play with caution and join the fun at Disney World. Right planning and care must be taken to make the trip a safe memorable one. The senior citizens should be aware of their health related handicaps. They must read all warning signs prominently posted at the park. They should not join risky rides unsuitable for their health/age. It is preferable to join a group of similar aged people. Emergency contacts should be kept handy. 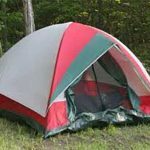 First Aid Stations and rest/food facilities are available at the park. 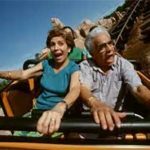 Disney World provides a lot of activities for the elderly which can make them feel like a kid again.